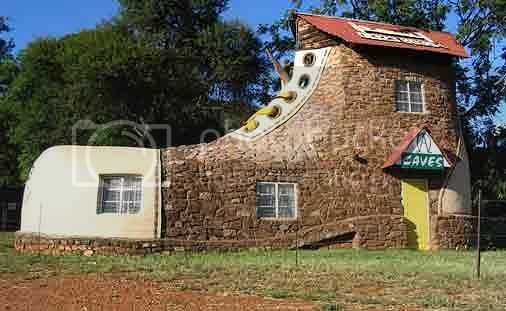 The ‘shoe house’ is the work of artist and hotelier Ron Van Zyl, who built it for his wife Yvonne in 1990. 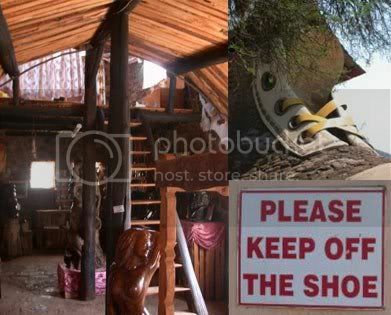 The shoe houses a little museum of sorts, showcasing Van Zyl’s wood carvings. 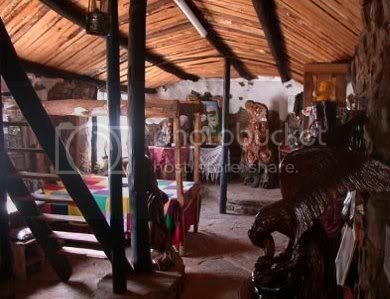 The shoe is part of a complex that includes an eight-chalet guest house, camp site, restaurant, pool and bar.